In a place like Manipur, where a singer in meiteilon gets more preferences and fan following volume, forming a successful Band is not an easy task. Moreover the mixed fans and the concert organizers tend to follow the established Bands which again make another blow to the budding Rock Bands. An in order to claim its own existence in this high current of Rock music, a Band needs hard work, commitment and its own independent styles. This is how "The Dirty Strikes" booms into the Rock scene of Manipur and the neighboring states. The whole idea of forming a Band conceived at Kohima and they started with only three members. Now they have five members, all in their early 20s. The vigor and the enthusiasm they shows while performing on stage and the attitudes shown by them makes the fan flow with their songs and are now a big competitor to the established Bands. 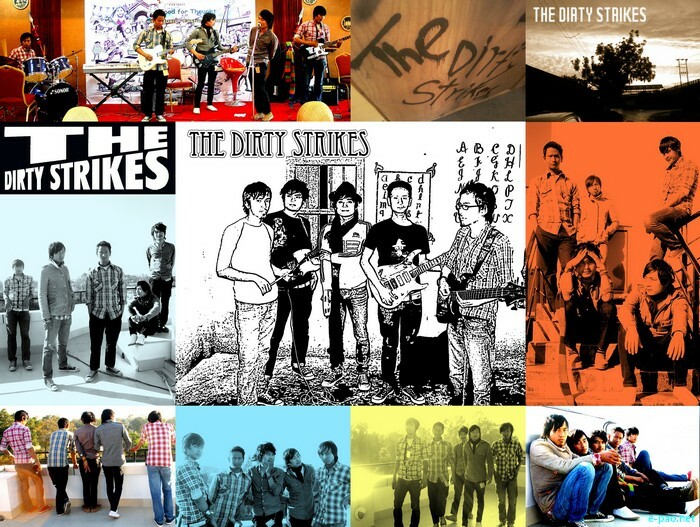 The Dirty Strikes is formed on the 2nd January 2010 and its members are not even friends before they formed the Band. These are real music lovers bind together by their action and creativity for music. Their genre is based on indie-rock. Even though young as they are, they lyrics are strong and they are the first Band in Manipur to be releasing an EP which too is self funded. They will be releasing their 1st EP on 24th April 2011. The Dirty Strikes has music in their bloods. As they say, in early days they grew up listening to bands like The Beatles, Pink Floyd, and The Doors. They are mainly inspired by Kings of Leon and The Strokes. They sing their covers apart from their own self composed songs. In most striking element of the Band; some of the Band members were drug users before they formed The Dirty Strikes. Sensible even though young they are, they have left drugs and also spread awareness to the drug users. The social mentality of our states is that the parents won't allow you to practice guitar or join a Band because it was always thought to be related with drugs. The Dirty Strikes put forth an example that forming a Band can also save them from drugs, a total shift of paradigm. Kennedy, the vocalist says, "My mom believes me when I say am not using drugs anymore." I suggest it's high time the mentality change in prehistoric concept of relating rock with drugs. Achievements: Apart from winning Manipur Rock Idol in 2010, The Dirty Strikes is the Second Runners Up of The Imphal Rock Fest 2010; they have also played at the Hornbill Music Festival 2010, NIT Silchar etc apart from performing in most of the districts in Manipur. They were the band which had the maximum number of gigs in 2010. The band members had no real tutors and the music is an inborn quality they have. Thoughts to Share: One of the most memorable and unforgettable incident as they say was their gigs at BOAT for the "Green Concert" where their substitute drummer kept own drumming on his own will and they were left embarrassed in front of the crowd. 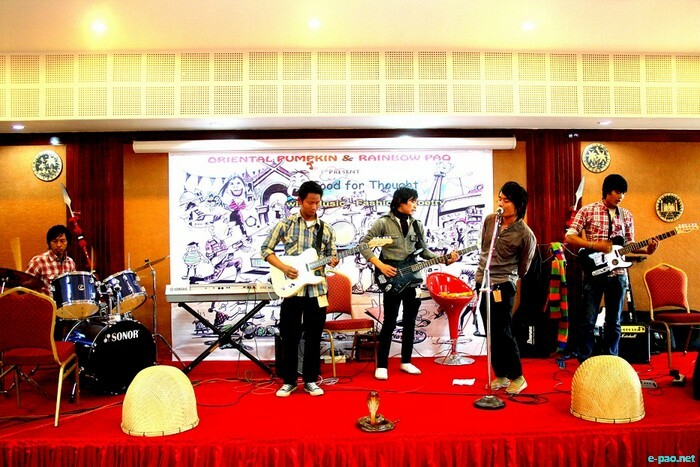 Humors apart, some of The Dirty Strikes songs speak about the present day environment of Manipur. For instance "Like a puzzle" is all about the chaos that's happening in Imphal. 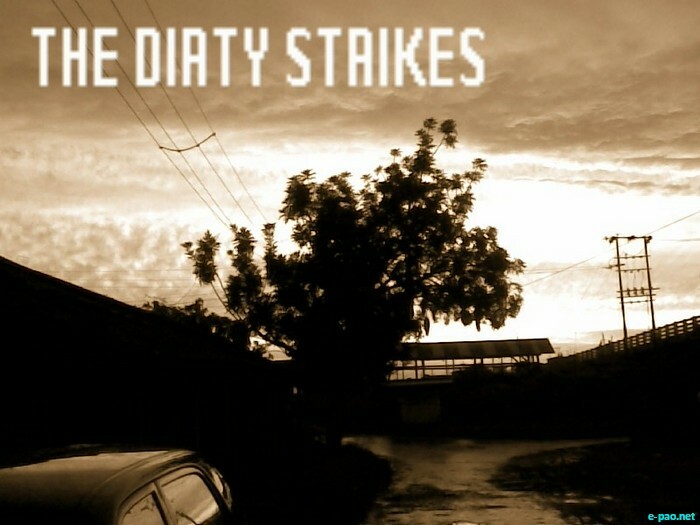 With their first EP, The Dirty Strikes is going to strike harder than ever the Manipuri rock music scene. It is high time Bands like The Dirty strikes with their original songs reach out to a vast audience/crowd to let know the world of the anxiety, restlessness face today by their generation. Their message to the upcoming rockers is to be yourself, dedicated and devoted to your music and No to Drugs. 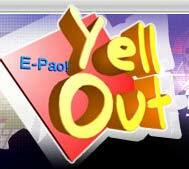 *** This artist's sub-site was first updated on April 21 2011.